When your system is connected to internet, it's not at all secure. Like the way we observed two major cyber attack in recent past, with two Ransomware's named WannaCry/WannaCrypt and Petya/NotPetya, it's always better to keep your system data protected from such malicious attacks. Thus, the giant company was forced to think of a new feature to keep their users system and/or the data protected from Ransomwares and other malwares. 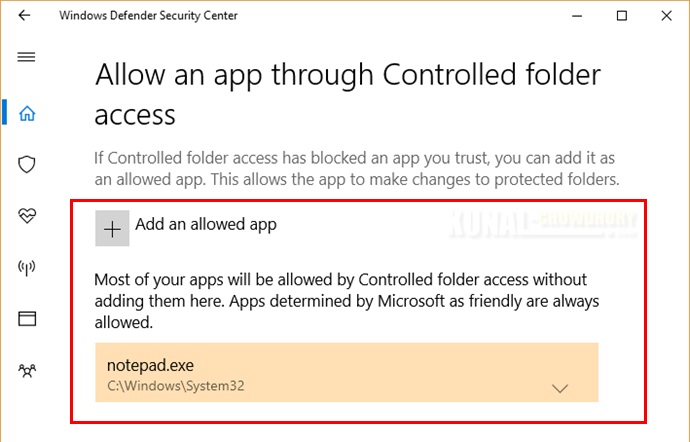 With the insiders preview build 16232, they have introduced 'Controlled folder access', which is still under development. 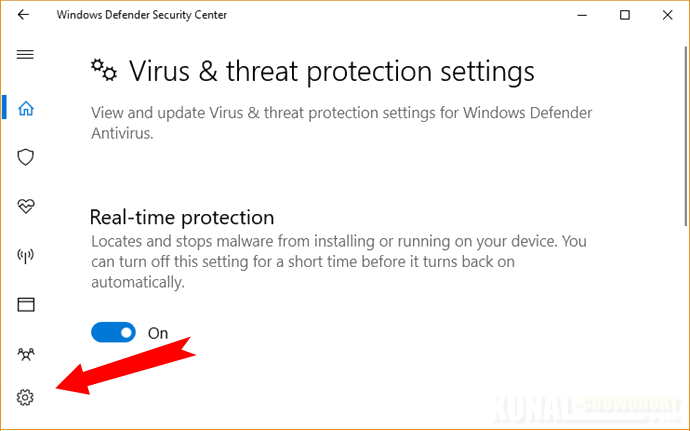 When this feature is enabled, will improve the protection done by Windows Defender Security Center. Controlled folder access monitors the changes that apps make to files in certain protected folders. If an app attempts to make a change to these files, and the app is blacklisted by the feature, you’ll get a notification about the attempt. 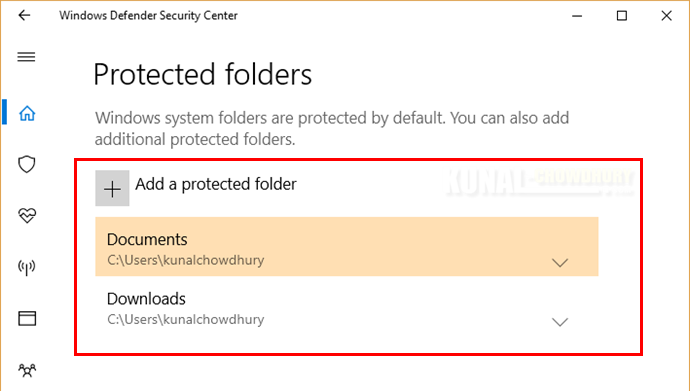 You can add additional folders to the list of protected folders, but you cannot alter the default list, which includes folders such as Documents, Pictures, Movies and Desktop. You can also enter network shares and mapped drives, but environment variables and wildcards are not supported. Hope that the information shared above was easy to understand. 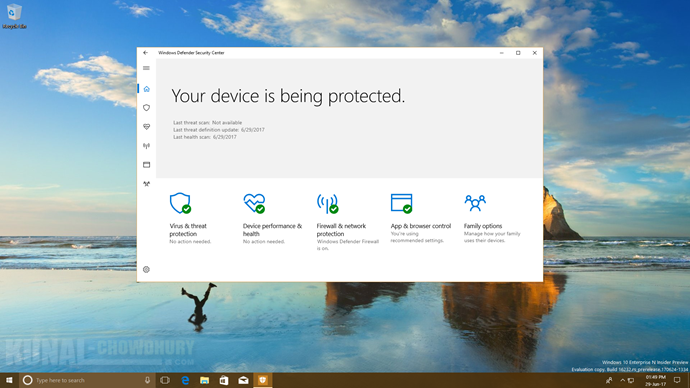 Don't forget to check out the other new features that got introduced in Windows 10 Insiders Preview build 16232. If you are an insider in the fast ring, check it out and share your feedback to Microsoft. 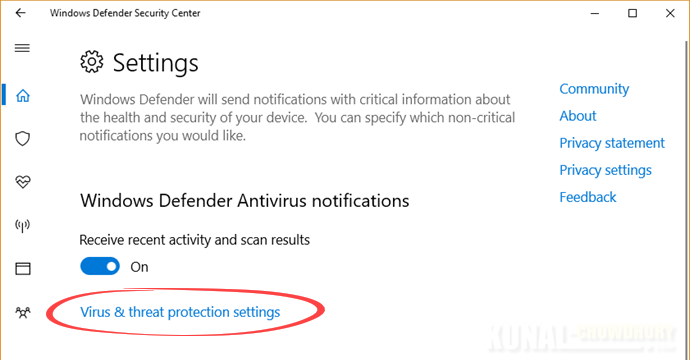 If you have come this far, it means that you liked what you are reading (Windows 10 Fall Creators Update to introduce Controlled folder access in Windows Defender).